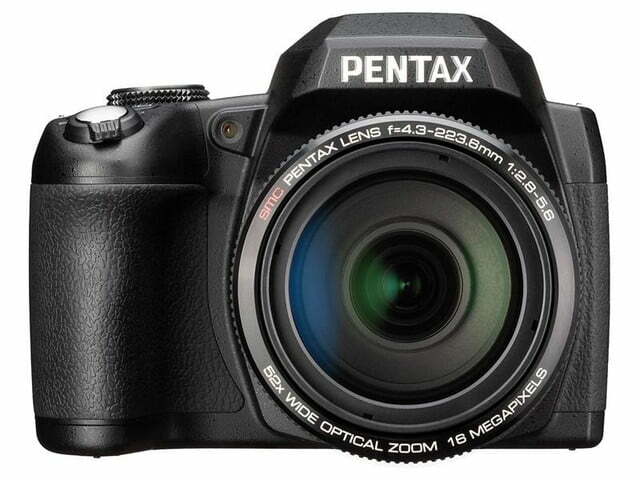 Ricoh has announced the Pentax XG-1, the latest in a series of superzoom bridge cameras with a DSLR-like body. 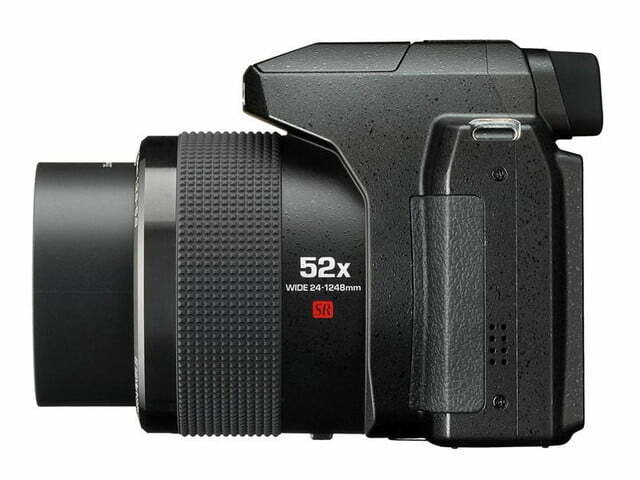 The new model has a whopping 52x optical zoom lens, which takes you all the way from an equivalent 24mm wide-angle view to a mind-boggling 1,248mm-equivalent telephoto. When you have that long of a zoom, it’s difficult to keep the camera steady. 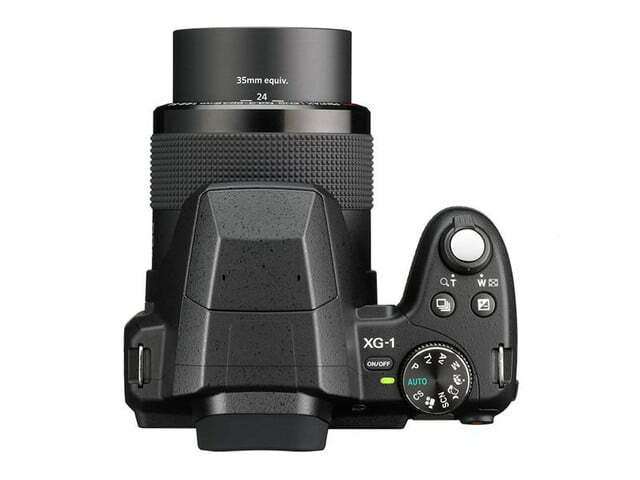 In order to do that and avoid motion blur – especially when using the camera handheld or shooting video, the XG-1 comes with sensor-shift SR Shake Reduction. Speaking of video, the camera shoots Full HD clips at a frame rate of 30p, and when you scale the resolution down to 640 x 480, you can even take highs-speed videos at 120 frames per second. With a long zoom like this, you could take it out at night and use the camera as a pseudo space laboratory. In order to take in enough of the faint light that distant stars emit, the Pentax XG-1’s lens has a maximum aperture of f/2.8 at the wide-angle end at f/5.6 at the telephoto end. To put things into perspective, a comparable lens for a full-frame DSLR would not only be more that 4-feet long, it would also have a diameter of at least 9 inches. Macro shooters will appreciate the close-focusing distance of 1cm (0.4 in), and those into high dynamic range (HDR) photography will be happy to hear that an HDR mode is built-in. Of course, since it’s a superzoom, the Pentax XG-1 relies on a small 16-megapixel 1/2.3-inch sensor – like those found in many compact cameras – so don’t expect DSLR-like image quality, despite the DSLR-like body. 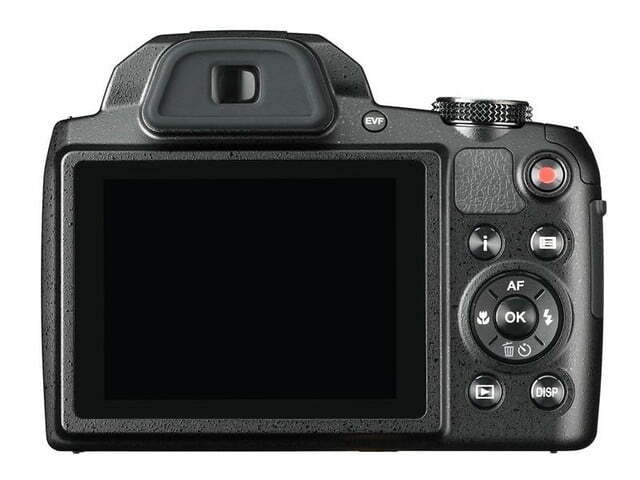 Its ISO sensitivity ranges from 100-3,200, and it can snap up to 9 frames per second in continuous shooting mode. For framing and reviewing your pictures, the Pentax XG-1 comes with a large 3-inch rear display with a resolution of 460,000 dots, which, to be honest, isn’t a lot compared to many current displays that hover around the 1-million-dot mark. For those sunny days where the rear display is hard to read, or for those who prefer to raise the camera to their eyes, the XG-1 also has a small integrated EVF with a resolution of 200,000 dots – again, it’s not that strong. Lacking built-in Wi-Fi for wireless transmission of your photos to a smartphone, tablet, or computer, the XG-1 supports Eye-Fi memory cards natively. 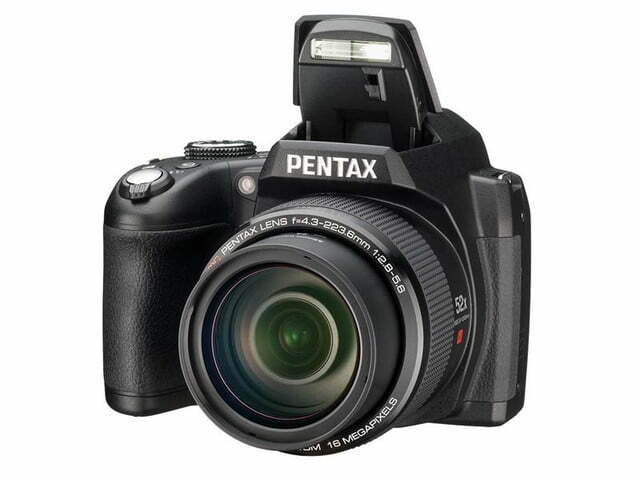 The Pentax XG-1 will be available in August 2014 for a retail price of $400. More information can be found at the Ricoh Imaging website.